Disclosure: I am part of the Cricut Blogger Program and I receive products/compensation in exchange for craft ideas. But all opinions are 100% my own. Some of the links used here are affiliate read my full disclosure HERE. 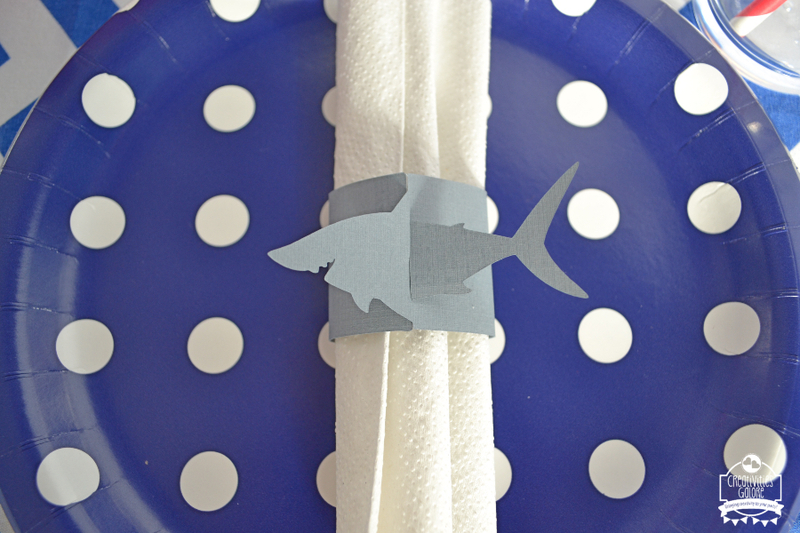 Let’s start the table breakdown with my favorite detail, the shark napkin rings. I absolutely love how these little napkin rings turned out. I used my Cricut Explore Air 2 machine to make them I actually used my machine for quite a bit of the decor. I even have a video that will guide you on how to make these kind of napkin rings. 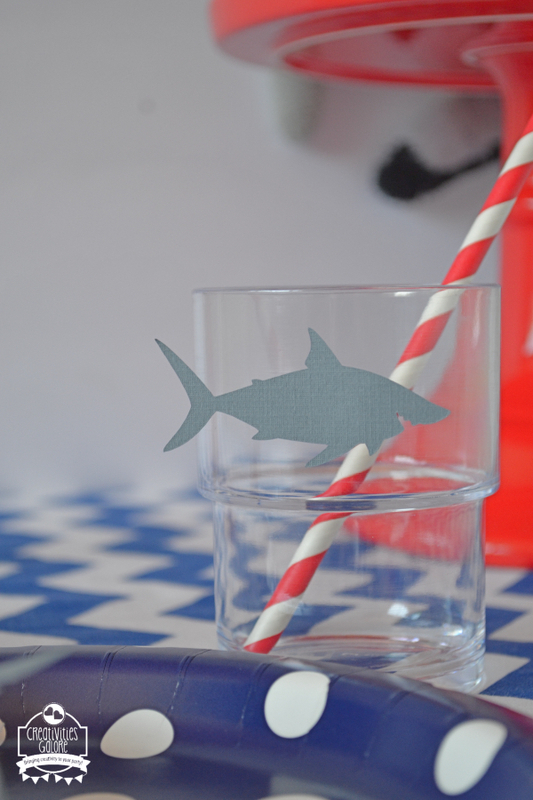 Besides the napkin rings I also just cutout shark silhouettes in different sizes and put them on things at the table. For example here I taped them on to the cups that I placed at each place setting. I then finished off the cups by placing a red and white striped paper straw inside. My Cricut Explore Air 2 machine isn’t only good for cutting out it also helped me create this sign and food pick. I used the writing feature to create these 2 things. After it finished the writing part of it my machine then cut out the shape for me and I just had to tape them onto stands and the food picks. 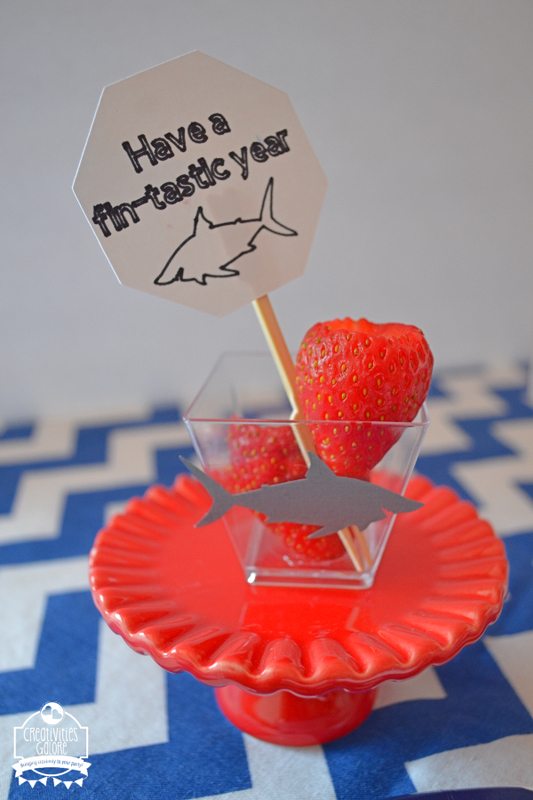 Here is a close up of the food pick and there is another shark cutout on the strawberry cup. I placed a sign in front of each place setting and in the afternoon when my boys got home they actually colored in their own sign. 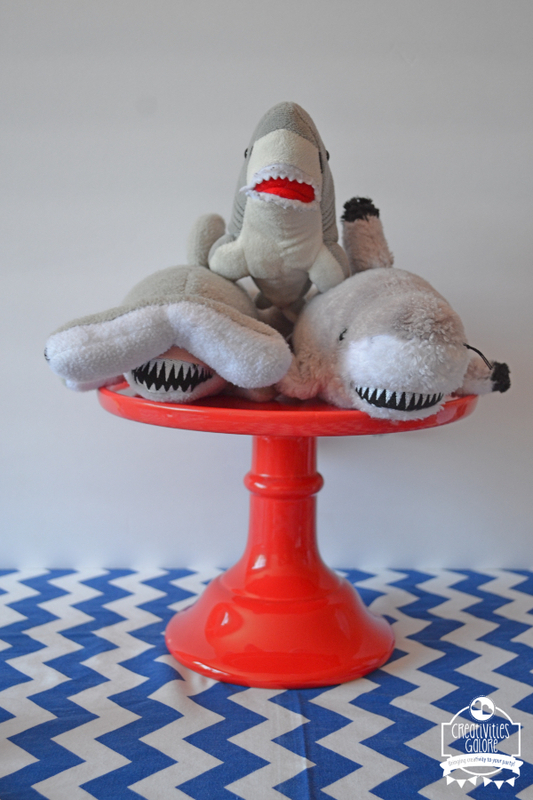 The centerpiece is just the same idea that I used during our JawSome Valentine’s Day Party I placed some of their shark stuffed toys and place them on top of a red cake stand. 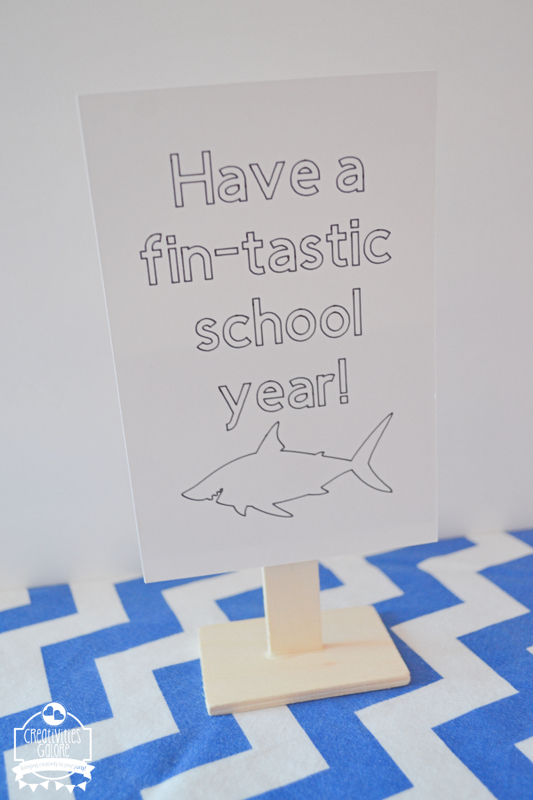 My boys are HUGE shark fans and they just loved how their back to school breakfast tablescape turned out. Seeing how much they loved it made me oh so happy! 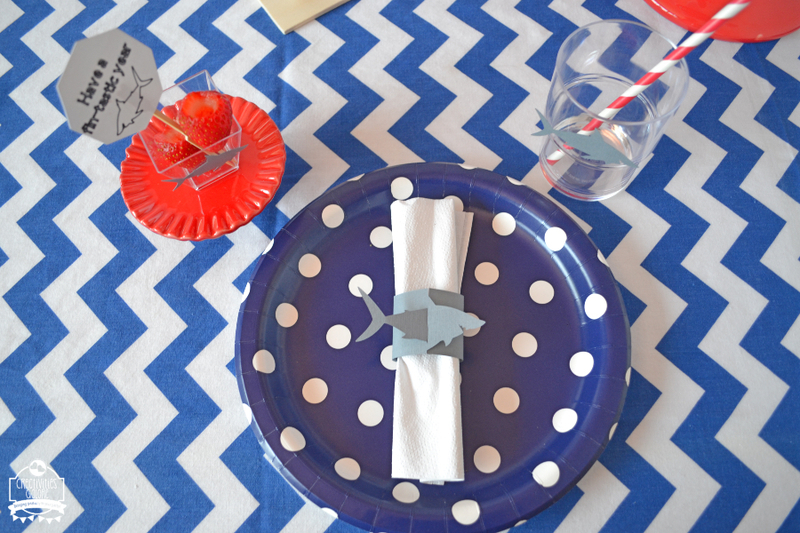 Now, only because I did this table for a back to school breakfast tablescape it doesn’t mean you can’t take inspiration from it for a shark birthday party or a shark week party. 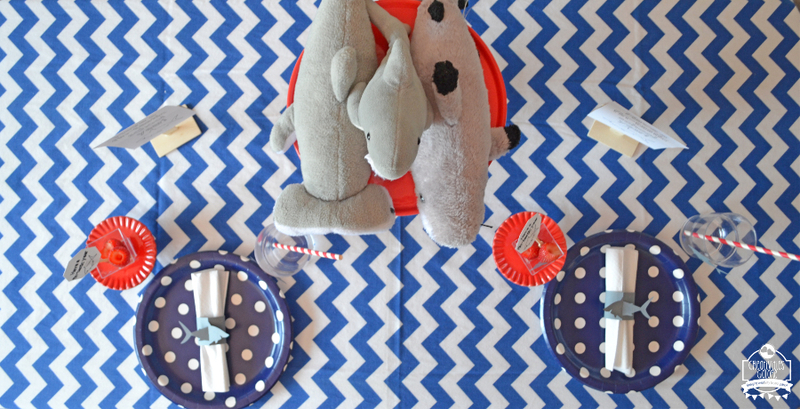 I hope this tablescape inspires you for your future shark party. 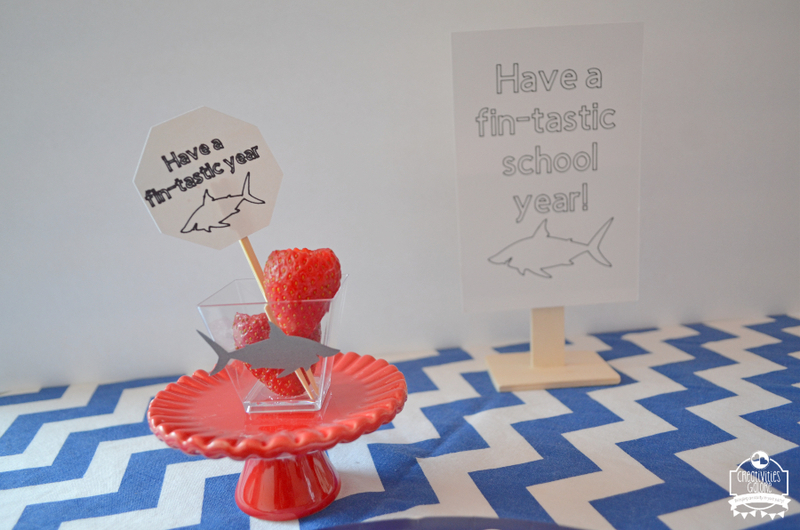 In Back To School, Shark Week, Tablescape. Bookmark the permalink. Such a cute party, Blanca! It’s truly Fintastic!